With our guide to the vape merchant account for startups, we want to explain the process of obtaining payment processing service for high-risk industry such as eliquid or ecig merchants. The vaporizer business is undergoing massive growth and there are many entrepreneurs looking to reap a profit from this new and lucrative industry. Because smoking tobacco has been deemed a health risk the public is embracing this alternative wholeheartedly. The vaporizers provide the nicotine and the taste that former tobacco smokers have been clamoring for, but without the smoke. 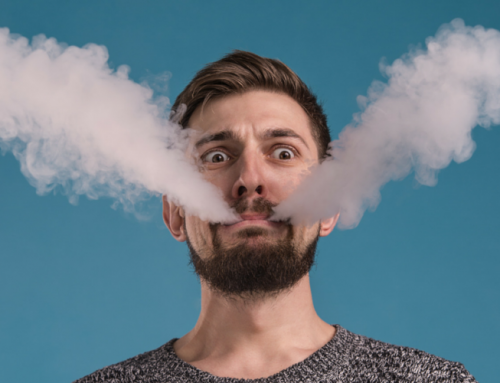 Conclusive facts about vape pens have not been forthcoming from normal regulating agencies such as the FDA and the Surgeon General which has caused banks and most merchant account providers to place vape merchants in the high-risk category. This requires e-cigarette businesses to obtain the services of a high-risk merchant account. What should you keep in mind when choosing a merchant account provider? There are differences between credit card processing companies that you should keep in mind while making your choice. Finding the right vape merchant account provider which will fit for you and your business is key to having a happy and profitable operation. Make sure that your credit card processor has an ISO/MSP registration. This will let you know that background checks have been performed and that your processor can handle your needs. If not they might not be able to collect all of your charged funds, and that could be very frustrating. Your credit card processor should be accredited by the Better Business Bureau. Having a high rating from the BBB ensures that they have had minimal complaints, and the few that they have had have been taken care of in a timely manner. Make sure that they have worked with the e-cigarette industry before so that they are prepared to deal with any special issues that might arise. Customer service is key to all aspects of a successful business. Make sure your vape merchant account provider has exceptional customer service which will be useful if their service goes down temporarily. Losing credit card sales even for a short period of time can be a nightmare. Make sure your credit card processor is prepared to handle any issues quickly and with a smile. The credit card processor should have great online shopping cart support. Make sure your credit card processor knows that yours is a high-risk industry and that they can handle higher than normal amounts of chargebacks and fraud. PCI compliance is very important for the security of your customer’s information. An excellent merchant provider for high-risk businesses will know how to deal with higher than average chargebacks and will work closely with you to minimize them. While high-risk merchants will be subject to higher fees there is no reason why you can’t find reasonable rates. Get the best rates and fees possible. Your credit card processor should be able to handle more than just credit cards; they should be able to take multiple types of payments, such as e-checks or bank transfers in the case of large transactions. If you should decide to cancel your service make sure there aren’t massive fees involved to do so. Find a credit card processor with reasonable or no cancellation fees. Painless Processing is the answer for your vape merchant account need. They are an industry leader in providing high-risk payment processing for vape & ecig merchants. They have provided merchant accounts to over 3,000 clients in the vape market since 2009. and because of their expertise in this niche market they can offer very competitive rates. Contact Painless Processing today at (877) 996-2795 to learn more about our merchant services for vaporizers, eliquid, and entire vape industry. Let us show you how we can help your business thrive. Click To Find Out What The Bank REALLY Requires!